Congratulations, you have been selected to be leader of the Red Arrows...I can still remember those words from my boss in 2006 and I had been selected to be the 18th leader of the Red Arrows for the 2007-2009 display seasons. When I joined the RAF to be a pilot in 1989 if someone had told me that this was going to happen I would never have believed them, this was an impossible outcome. However, it clearly was possible but only by aiming for lots of 'mini goals' along the way. To start off with I had to complete officer training, something I did and I was the youngest officer candidate to graduate. I then wanted to be a fighter pilot as I had seen Top Gun 10,000 times (apologies to transport and helicopter pilots) and out of a 12 pilots who started the course, only 2 ended up flying jets. 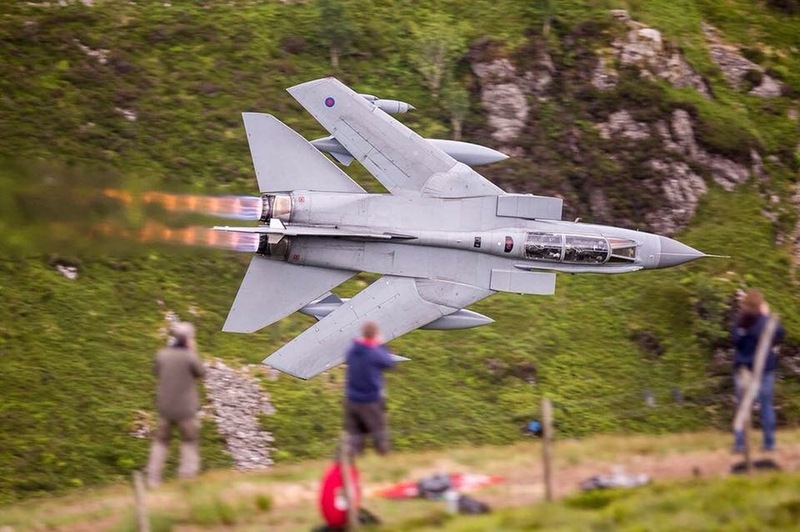 A posting to the Tornado then followed and it turned out that I was the youngest ever Tornado pilot to end up flying combat missions on the front line. Other steps along the way were becoming a Qualified Flying Instructor and joining the Red Arrows between 2000-2002 as one of the wing pilots (being a pilot on the Red Arrows previously is a pre-requisite to be the leader). Each of these 'mini' steps seemed like a mountain at the time but it put me in a position whereby the impossible had now become a reality. Having led the Red Arrows through Europe, the Far East, Middle East and North America and displayed to millions of people, one of the most memorable moments was leading the Red Arrows on a flypast of the Statue of Liberty having just done a display over NY harbour. 300ft altitude, 400 mph, red, white and blue smoke and leading some of the finest pilots in the world...what an incredible opportunity! So how did it all happen? Everyone probably needs a little bit of luck in their chosen career but that's not the secret. There is clearly no subsitute for hard work and dedication and every pilot knows that this is required at every stage in big handfuls. We all have dreams of what might be, but the key is to never stop dreaming. Aim high and keep going for it...noone else will give you success on a platter. Think about where you want to end up and then work out what mini steps are needed along the way; it might still seem like mountains to climb but don't aim to climb Everest in one go...aim for the foot hills and one day the summit could well be in your grasp. All 3 founders of Freelance Aircrew have been very successful military fighter pilots and have now forged new careers in different areas of aviation. We will continue to bring the best lessons from military and commercial aviation via our news section so please continue to watch this space.